Stockists of Peakdale decorative aggregates in a variety of colours and sizes including Plum Slate, Golden Gravel and Mellow Cotswold. Available in prepacked and bulk bags ready for collection or 24 hour delivery from stock. Let us know your requirements and we can source at competitive prices including delivery. Bulk bag 20mm Blue Slate Decorative Aggregate.. BULK BAG 20MM GRAVEL .. BULK BAG JOINT FILLING AGGREGATE.. Bulk Bag Cheshire Pink Aggregate..
25Kg Bags Classic Spar Decorative Aggregate.. Bulk bag of Derbyshire Buff AggregateOur Derbyshire Buff is a limestone based aggregates and is sour.. BULK BAG GOLDEN 20MM GRAVEL..
6MM GRANO TO DUST BULK BAG.. Bulk Bag Gravel River Pebbles.. 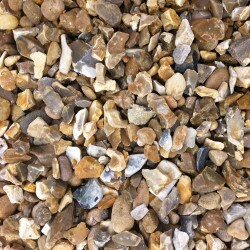 Bulk bag Green ChippingsA muted blend of Welsh green chippings with a speckled texture, giving these..
Green Slate Decorative AggregateBulk bag 20mm &Bulk bag 40mm..
25KG KILN DRIED SANDKiln dried sand for use as infill between block paving.. BULK BAG 20MM MELLOW COTSWOLD.. Bulk Bag Multi Spar Decorative Aggregate..
10MM PEA GRAVEL BULK BAG.. BULK BAG 40MM PLUM SLATE..
RED BUILDING SAND BULK BAG.. Bulk Bag Red Chipping Aggregate .. Bulk bag 20mm Silver Pink Aggregate20mm Silver/Pink Gravel, (Crushed Silver/Pink Granite 20mm-10mm a..